Whatever type of smart blind you’re looking for (fabric roller shades, cellular shades, venetians, curtains, drapes…) we offer a practical solution that will completely transform and enhance your life. Thanks to Câble&Son, you can automatically control your smart blinds according to your preferences. Let your blinds and curtains adapt themselves according to elements such as the position of the sun, time of day or temperature. 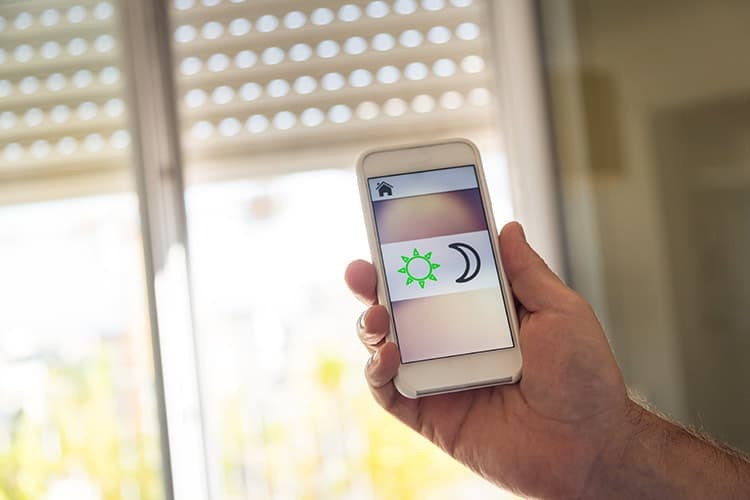 Are you an individual or a business looking for a solution to easily control your smart blinds? You’re on the right page to learn more about smart houses and commercial automation products! In building or purchasing a home, cottage or condo, you’ve probably taken the time to count the number of windows that need covering. You’re also likely aware of the positive impact (link in french) that natural sunlight can have on your health and life. If your home has many windows or if some of these windows aren’t easily accessible, or if you or another person living in the home has limited autonomy, our smart blind solution makes perfect sense. You can forget having to walk from window to window to close each blind. Everything can be automated and remotely controlled. 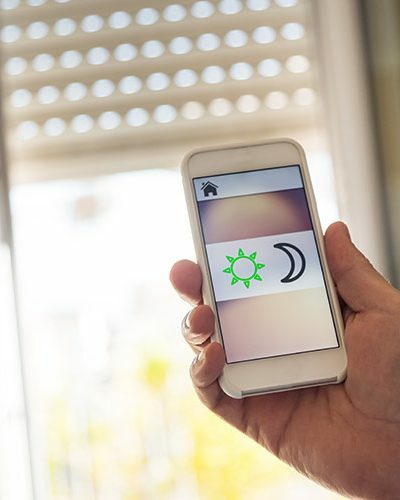 For instance, you can automatically synchronize the opening of blinds and curtains with sunrise. Câble&Son can provide you a fully automated smart blind control system adapted to your needs. At Câble&Son, we’re proud to offer you a true turnkey service. We’ll evaluate together the best possible solution and install it! Your only job is to enjoy the result. Your smart blinds or curtains will last minimum ten years, and, of course, your purchase is also covered under warranty by the manufacturer. The battery will need to be changed approximately every 3 years, assuming regular use. Câble&Son has been improving the day-to-day lives of its entrusting clients for more than 15 years. We’ve created two showrooms for you to concretely test and live the automation experience. 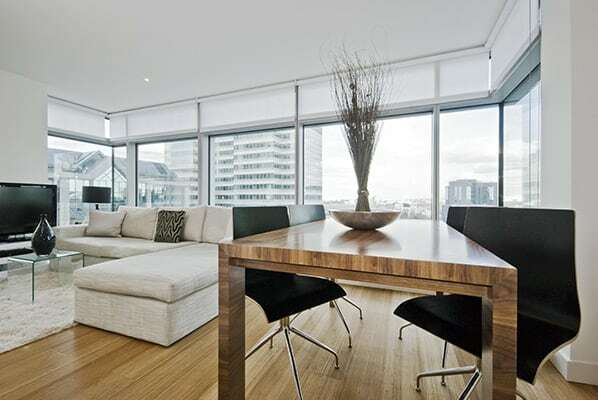 Looking for the perfect smart blinds for your needs? What are you waiting for?